Kiplinger is teaming up with the National Association of Personal Financial Advisors (NAPFA), whose planners will answer questions on retirement planning and other financial challenges. Submit your questions here and get free personalized financial advice on Thursday, June 18, from 9 a.m. to 5 p.m. ET. Igor- Structured Notes can be very complicated products and the terms vary greatly for each one. You need to understand the floor where you could not earn interest and the floor where you could lose principal and what the caps are. They are issued by major banks such as JP Morgan, BNP Paribas, Goldman, etc. The terms also vary as to whether they are being sold on a commission basis or with commissions stripped out. If you walk into a bank and buy them, it will include a commission and the terms are less favorable then those sold through fee based advisors. I would recommend because of the complexity of these investments that you seek out a fee-only advisor who has familiarity with using structured notes in their clients portfolios; however if you feel comfortable with your knowledge of the product you could purchase them through any major custodian such as TD Ameritrade or Schwab. Structured notes can be a great way to generate yield as part of your fixed income allocation especially in a low interest rate environment such as we are in, and fear of rising rates has many concerned about investing in traditional fixed income. ChuckN, you are right to be wary of the advice regarding the annuity. In a sense, your pension already IS an annuity. If you were to take the lump sum, the best option would really be to roll it over to a rollover IRA. The advice about the annuity is not disinterested - commissions are involved for the advisor... With a rollover IRA, of course then you are responsible for properly investing this; the advantage is that you have more unrestricted access to your money. Or, if you feel that your employer's plan is sound, leave it there and then take the money out as a pension. Chuck, the pension should have pension guarantees backing it. The pension and the annuity are similar approaches and the payouts should be very close. Taking lump sum cash to an IRA to investment in immediate annuity wouldn't make sense unless the annuity payout is much higher for a joint and 100% survivor benefit. I know there isn't a overall your age is ## you should have $ saved for retirement by now. But is there a suggested % per month saved goal we should attempt to reach? Some of my friends said they were told to save/invest at least 10% what they make per month, where others have mentioned they were told 20%. Thank you. Sandra, the later you start the more of your income you have to save to build up a secure base for financial independence. 10% for people under 30 is a good rule of thumb. Chuck, evaluating how to deal with a company pension requires careful analysis. The advice you are receiving from your advisor suggests transferring the risk from your employer defaulting to an insurance company and requires careful consideration. annuities also come with high fees and may not provide the 100% survivor payout you are seeking. How your decide to receive the pension also should be evaluated carefully. Your age, that of your spouse, other assets and required income need to be considered. Another option is rollover to an IRA an self management and control for distributions. Hi Chuck! If you want to learn a bit a more about annuities and whether investing in one is right for you, check out Kiplinger's special report Understanding Annuities. SandraG, I've lately seen the "50/30/20" formula bandied about by advisors, and it seems like a good pattern to follow. Essentially, you spend 50% of your gross income on "needs" (mortgage, taxes, health care), 30% of your gross income on "wants" (discretionary items) and 20% goes to savings. The savings goal is ambitious, yet it encompasses not only saving to a retirement account (10% is a good start) but also saving to cover short term needs (the famous "emergency fund") and for the long term. Hope this helps! Sandra. Save until it hurts. If you have done a budget analysis, you should have an idea of how much you can "afford" to save. Also, if you have a 401k, save at least up to any matching contribution and try to max out. When should I start taking Social Security? Will there be changes to make sure we get 100% benefits payments after 2032? fdwaller, we can't predict the changes that could be made to Social Security. Your year of birth determines when you will receive full benefits with no earned income test. If you start benefits before then your Social Security benefits are reduced if you have too much earned income. As you delay benefits they do increase 8% a year. There any many possibly ways to take benefits for single individuals and even more for couples. Be careful of beginning Social Security benefits before your full retirement age if you will still have earned income. fdwaller- When you start taking social security depends on how long you think your life expectancy is and your family history in part, and whether you will still be working when you are eligible for benefits. The longer you wait, the higher your benefit and under current law, you get an 8% increase for each year you wait to take it until age 70. If you are at full retirement age today, the break-even is about age 79 before you would get more benefit by delaying taking it. In other words, you should take at normal retirement age if you think you are going to die before age 79. This is just a general idea and based on social security rules today which will most likely change in 2032. It will be hard to predict what the laws will be then. 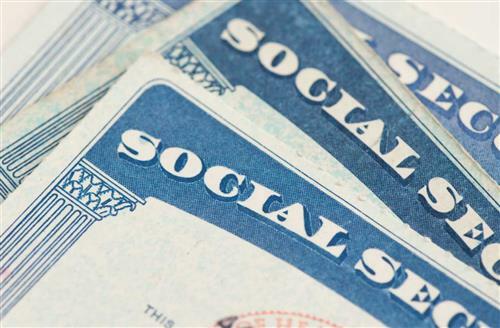 When to take social security requires careful consideration. 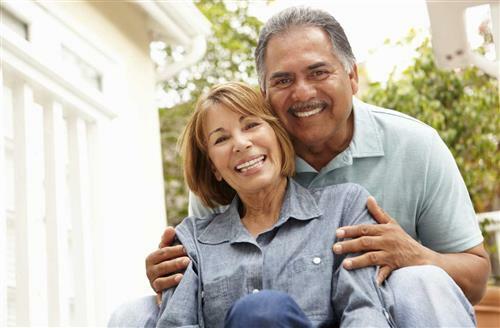 Additionally there are many strategies to maximize benefits at full retirement age. Depending on your health and cash flow wait as long as possible if you are healthy since you ensure the maximum benefit over your lifetime. You also need to consider your spouse - their age, the difference in your ages and whether they qualify for benefits and the amount of their benefits. Coordination of benefits is required. Seek out an advisor who can help analyze and maximize benefits. Keeping benefits at 100% in the future will require an act of Congress. Hi, I have a question about type of investments. I am a newbie to the investment world as I just got a stable job, paid off couple of my loan, but still have my mortgage loan which is financed for 20 years. I read the book Good Dad Poor dad by Robert Kiyosaki and his principle was it is ok to keep a loan and have my investment at the same time as long as there is a net profit. However, I also listen to Dave Ramsey and he really makes me hate debt. As of right now, my mortgage is 120k, including interest. My income is 90k a year, tax 40% => 54k Income after tax. I am 30 years old dentist and my ultimate goal is to open my own private practice. I am unsure if I should start investing now and wait on my dream, invest and loan money to open a business, or open a business with little loan but defer my savings? Lastly, I want to know what type of investment I should do. Stock is a bit too volatile for me right now with the rumor that our economy is in the tail of deleveraging era, so the options I am really looking at are mutual fund and index fund. I am leaning toward more in the index fund. Can you tell me if index fund is a good investment compare to mutual fund in term of profit and risk? How to evaluate a good index fund/ business in general and where can I find information about these. Furthermore, once I pick my decision, what should be the next step I take? I will take the first part of the question regarding your business. I would invest in myself first and borrow a little money to start your practice rather than wait. My daughter is in dental school and I told her the same thing. The sooner you start your own deal, the more you will make to save for your future and the more control you will have over your future. Alan, There is a lot in your question. I'll tackle one piece. Tie your goals to how you invest your money. If you are trying to accumulate money to buy or start your own practice then keep those funds in lower risk investments. A higher mixture of bonds. Index funds is a way to participate as those market indexes perform. They could be bond or stock indexes so be aware of which type of index fund you use and what it is investing in as it fits with your goal. www.kiplinger.comFollow our road map to the best strategies for claiming your benefits and boosting your retirement paycheck. Alan, this is a complex question so I'm going to answer part of it and hope that my colleagues chime in on other aspects. The folks that you are listening to have very strong, and somewhat controversial, opinions that are contradictory, so I don't blame you for being confused by their advice. Let me just say that a mortgage is an honorable debt; big credit card balances run up for "stuff" are what you should concentrate on wiping out. Alan, having a home mortgage paid off before you retire provides more financial security than carrying debt. At younger ages carrying only a home mortgage with a reasonable and deductible interest rate makes sense. Your itemized deductions need to exceed your standard deductions for the home mortgage interest paid to really be tax beneficial. Alan, first, congratulations on paying off your loans. Whether you take your debt reduction further is a matter of preference. There is no doubt that the mortgage is costing you something despite the mortgage deduction but if you have a low rate it is a debt worth keeping. Here are some thoughts worth considering: Make an additional payment towards you mortgage each year, this should cut the mortgage payoff time by about half. Establish a safe emergency fund in case of disability and for additional savings. Set up a separate bucket of funds to which you contribute each month with a goal of using them for the down payment on your practice in the future. Save or invest whatever is left in a balanced mutual fund from Vanguard. I feel like the stock market is overvalued. I am interested in cashing in some mutual funds and finding a safe position for them that still pays a return (but without the risk) Any suggestions what type of vehicles to invest in currently? Chuck, good luck. There are some analytical ratios that show the US Stock market as over valued. Moving into bonds will lower risk, with lower return potential for the long term. Be aware that the longer the maturity of the bond portfolio the more it will drop in value as interest rates rise. If the mutual funds are owned personally be aware of the income tax impact when they are sold. ChuckN - What you are considering is "market timing" which evidence has shown is an exercise in futility. No one can say whether or not the stock market is over-valued or not. Some stocks may be, while others may not be. Ideally, your investment portfolio should be well-diversified basket of low cost finds or ETFs, which should weather any storm. ChuckN, we are in an odd financial position right now - "safer" investments (there is nothing that is risk free in every sense) pay very low, to no, interest so the only way that you can get a return on your investments is to place them at risk. And for risk averse folks, that can feel very uncomfortable. If this is money that you are going to need in the next five years or less, it would be wise to hold some of that in cash. If these are long term investments, understand that you still need to accept market risk via a diversified portfolio. The best investment strategy is patience and time; making tactical moves generally defeats you. Chuck, what measures are you using to arrive at the overvaluation and what markets - as an example European equities appear cheaper than US equities but there is still the issue regarding Greece and the Euro. By some measures stocks valuations appear stretched by other measures they are in the range of acceptable and of course it all depends on future growth. I'd also caution you that is often difficult to time the market. That said, if you are uncomfortable or can't sleep at night, take some money off the table. Cash does not pay very much and will not keep pace with inflation and bonds while generally safe will be vulnerable to rising interest rates. At Pat and Michael point out the issue is for long term investments you cannot reliably identify when to move back into stocks until after a significant amount of increase has already happened. If I file and suspend for my Social Security (SS) at Full Retirement Age, can my wife file a restricted application to receive benefits from my Social Security prior to her Full Retirement Age? Would she get an amount less than 50% of my Full Retirement Age benefit? She is two years younger than I am. Would this make sense or should we wait until she is 66 which is her SS Full retirement Age at which point, I would be 68. We know the best answer may depend on how long we live so, for these purposes, we will plan to live to over 90. John Jeffrey, your wife should wait until full retirement age to get full benefits. Without knowing your complete situation, the most optimal strategy (to maximize your benefits) given your life expectancy would be for you to file and suspend at your full retirement age (waiting until age 70 to start your actual payments), then have your wife file for her spousal benefit at her full retirement age. Then, your wife should file for her own benefit at age 70 IF it is larger than her spousal benefit. Filing earlier might be necessary given your finances, but if you have resources to meet your needs outside of Social Security, waiting is almost always the best strategy. John, a spouse at least age 62 can file for spousal benefit on their spouse who has reached full retirement age and filed and suspended. The problem is locking in a lower spousal benefit by claiming the spousal benefit before their full retirement age. Many of the analyses we have done normally show it is better for the spouse to wait until their full retirement age to claim the spousal benefit. That is dependent upon many factors like age, benefit amounts and longevity potential. Hi Chuck! This story might help with your question on cashing-in a mutual fund: When to Sell a Mutual Fund. For even MORE insights on building and protecting your wealth, visit Kiplinger.com's new Wealth Creation channel -- wealth.kiplinger.com. The channel offers hand-picked Kiplinger.com articles, along with exclusive insights from trusted financial planners, to guide discussions between advisers and individual investors. It's free. Check it out. John, this is a complicated question. By filing and suspending you are doing so only to allow your younger spouse to receive benefits on YOUR record. Therefore there is no need to file a restricted application. If she has not yet reached her full retirement age her benefit will be reduced but will be adjusted higher once you apply for your benefit. Whether to start now or wait until her FRA depends but in general it will be lower than waiting until her FRA. There also are other factors to consider. Does it make sense to put in the max contribution to my 401-K, even my company matches only 0.75%? I also put the max. possible into my Roth IRA. Despite the low match there are benefits to maxing out your 401(k) contributions including a higher savings rate and lower taxable income. Yes I would try to put the max in both your 401k and your Roth IRA. You may have option to elect whether to do Roth or pre-tax contributions to your 401(k), which way you choose will depend on your current tax bracket and future expected tax bracket. Employer match will always go into pre-tax account. What you contribute is always yours to take when you leave. MS, contribute at least enough to 401K to receive maximum company matching. Beyond that look to your cash flow, tax situation and goals to determine where else to save and invest money. The 401K is automatic just not as accessible, which is good and bad. MS, congratulations on your ambitious savings. The answer to your question in one word is YES. You are fortunate to have an employer contribution, even though it is modest, but that should not be a factor in your decision. ALWAYS contribute, no matter what, as much as you can afford. www.kiplinger.comSpouses can boost their benefits by coordinating the timing of their claims.